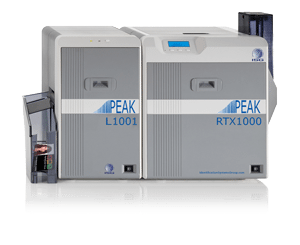 The ISG PEAK RTX1000 retransfer card printer allows cost-conscious issuers to produce high-quality, over the edge full-color cards with all the efficiency and affordability that you would expect from a retransfer printer. 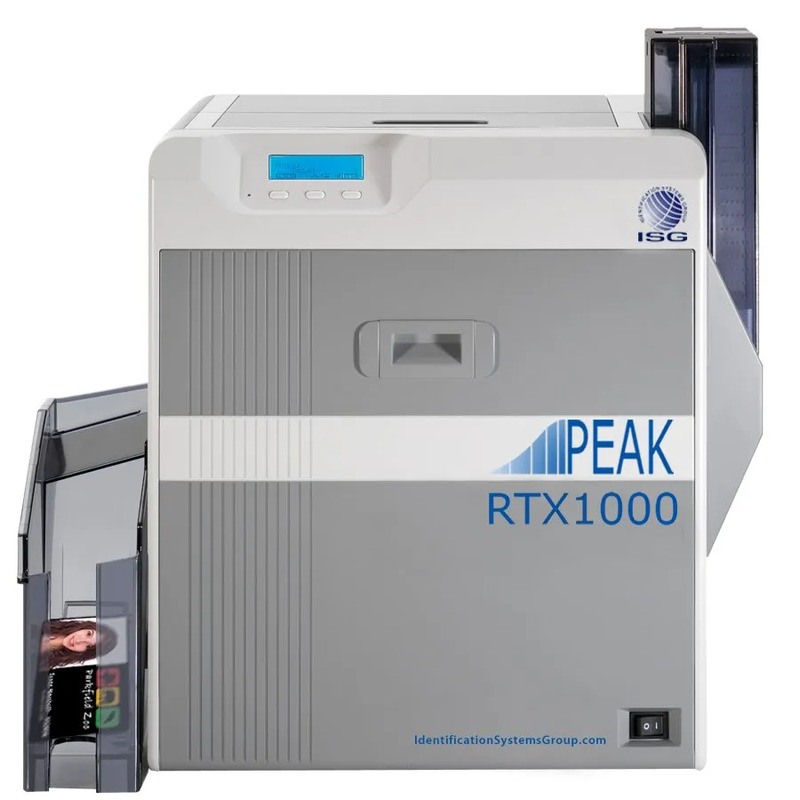 The RTX1000 prints on a variety of card materials including long-lasting, durable non-PVC cards such as ABS, PET, and Polycarbonate. The lockable, spacious card hopper stores up to 220 blank cards to secure an interruptfree workflow. The user-friendly front-loading system with replaceable cartridges makes changing supplies fast and simple.